Coffee is considered to be the most consumed beverage in the world and the best way to drink coffee is when it is warm and fresh. However, not everyone drinks coffee fast enough to make sure that it does not get cold. If you’re one of the people who like to drink their coffee the entire morning or during the long working hours in the office, then you might be looking for ways on how you can keep your coffee warm. Well, think no more because we have the solution for you. Along with a coffee maker, investing in a coffee cup warmer is a great idea as well because it will enable you to drink coffee without worrying that it will eventually get cold. But choosing a high quality coffee warmer is not as simple as it may sound because there are so many products available on the market. Its main job is to keep your coffee mug warm, but it might be challenging to choose the right one. To help you, here’s a guide on what you should look for in a high quality coffee warmer and some recommendations as well. What Makes the Best Coffee Warmer? Here are some of the features you should look into to be able to choose the best coffee warmer. Cord Length: It’s very important to check the length of the cord for you to know if it can cater to the most likely places where you will use it. Some want to have it closer to their desks while others place it in strategic places, allowing them to take a sip whenever they pass by it. The longer the cord, the better, regardless of where you will be placing it. It’s because it will give you more freedom to move the warmer anywhere. 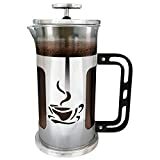 Manufacturer: There are different manufacturers or brands of coffee warmers and it may be tough to find a reputable one. One way is to check how many kinds of coffee warmers they offer. 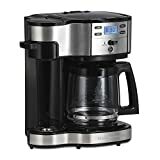 It’s because a high quality manufacturer most likely have more than one kind of coffee warmer in their range of products. You can also check the history of the manufacturer and as well as reviews from other customers. Design: Coffee warmers come in different design. Smaller ones are great because they will need less space on your desk or counter top. You can also try to find one that can blend with the rest of the décor in your office or room where you will most likely use it. Price and Warranty: Of course, the price is something that you should also consider. Coffee warmers come in different prices and more expensive ones don’t always mean a higher quality. Try to find the best one that will fit within your budget. You should only stretch your budget if you find a coffee warmer that has a feature that you truly need. Since there are many kinds of coffee warmers that you will encounter on the market, here are the different types that you might see. There are certain coffee warmers that are designed for offices and for commercial use that you can consider. These warmers are usually bigger and can warm up several cups at a time which is convenient for you and your co-workers. However, the price of this type of coffee warmer is usually a bit higher. Home coffee warmers are meant to heat up one cup of coffee at a time. These coffee warmers are convenient when it comes to the price and they are very easy to use as well. Coffee warmers usually have power cords attached to them and the length of the cord is quite important for you to be able to use it in different parts of a room. But there are also some wireless ones available and some work on batteries if you’re looking for portable ones. Their prices are also not far from those with power cords so you can also consider these. If you’re into multi-functional gadgets, you can also find multi-functional coffee warmers. These warmers not just heat up your coffee, it can also heat up candles and even soups. But make sure to check on the quality first and know what other functions it offers. Now that you know the things to consider and the different types of coffee warmer, we are also giving you some recommendations of the best coffee warmers we found. This is a multi-purpose coffee warmer that can also be used to warm milk, tea, soup, solid oil, and sauces both at home and in the office. It features an intelligent micro-gravity sensor that automatically heat and disconnect. It is a coffee warmer made for desktops so you can keep your warm cup of coffee close. This coffee warmer is very economical on power and it is safe to use. This is a high quality premium coffee cup warmer that you can get at an affordable price. It has a power of 24 watts and it will keep your coffee just as hot as you want for as long as you need. 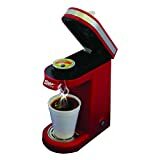 It features a temperature control, allowing you to maintain the temperature of your warm coffee. It also has a memory feature that retains the last temperature you used which it will automatically apply to your future ones, helping you save time. This is a high quality coffee warmer that features temperature control and auto shut off. With this warmer, you will be able to keep your coffee at 131 degrees F anytime you like. Aside from coffee, you can also use this warmer to heat up or keep warm other beverages like milk, tea, hot chocolate, and other favorite drink you might have. When you place the mug on the heating surface, it automatically turns on and when you remove it, it shuts off. This feature makes it very safe to use. This product will enable you to easily keep your coffee warm while at work. It comes with a USB and a mug that can keep your coffee warm at a temperature of around 100 to 110 degrees. It is also a versatile warmer because you can use other mugs on it such as glass, steel, and ceramic. It has a recessed base that will keep your coffee from spilling. Its cord has a length of about 3 feet, making it a reliable coffee warmer. This is a high quality and affordable coffee warmer that comes with a very nice design. In fact, you can treat it as a decorative object when not in use. You can use this warmer in the comfort of your home, office, or even take it with you when you travel. It has an on and off switch that comes with a light indicator letting you know if it’s working. It has a 60-inch cord that makes it easy to use almost everywhere you want around your home or office. This coffee warmer comes in a very simple design that will definitely blend well at your office or in any room of your house. It also comes with a long cord, allowing you to move it as you please. It only takes 17-watts for this warmer to keep your coffee fresh the entire day. It is also very easy to carry with you when you travel. It has an ingenious design and it will enable you to place different mug sizes on it. If you’re one of those who love to drink coffee in their cars, then this product will keep your coffee warm even when you’re on the go. It works best with disposable paper cups, plastic cups, or even foam cups. Simply place it in your car’s cup holder and power it into the power socket using a 12-volt cord. When you put the cup of coffee in it, it will automatically turn on and start heating the coffee. Once you take the cup off, it will shut off automatically as well. This is great for people who takes long morning drives going to work. This coffee warmer comes with a mug and a hot spot system which can increase both its performance and efficiency. It has a 3.5 inches warming surface and comes with a 12-ounce size which can offer a generous amount of warm coffee. It is also lightweight, making it easy for you to transport anywhere you want it. Simply plug it into the socket and enjoy your warm cup of coffee throughout the day. This coffee warmer is popular for its high level of portability and as well as for the features it offers. Its body is made of silicone and it is very safe to use. It works on 16-watts of low power. It has an insulated glass base and has bottom feet, preventing it from sliding. This coffee warmer can help you maintain your coffee at a constant temperature of 131 degrees F. It can also be used for up to 24 hours a day without any risks. It also has an automatic shut off function. This warmer comes with a mug as well, making it a worth it investment. If you love Mickey Mouse, then you will definitely love this coffee warmer. It also has a Minnie Mouse version for the same price. It is made to resist even the roughest drops, making it very durable. It comes with a 10-ounce Mickey Mouse ceramic mug which is really adorable. It has a Mickey Mouse shaped light indicator that will let you know if the device is turned on. It has a power cord with a decent length, allowing you to use it in any corner of your room. It is a great coffee warmer you can use at home and in the office. These are some of the best coffee warmer products and buying tips we can recommend. We hope that the information we shared will be able to help you find the best coffee warmer that will cater to your needs.